ISIS burns Jordanian hostage alive, reports say. 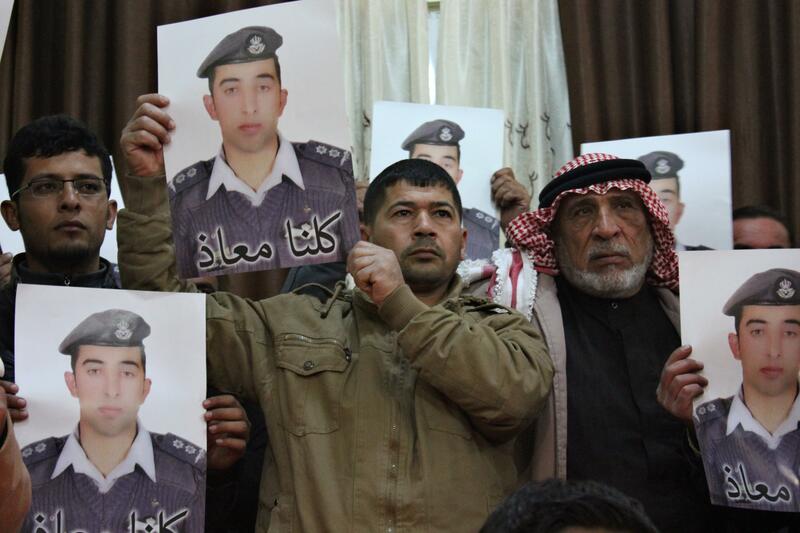 Al-Kasasbeh’s relatives hold his photo. The pilot, First Lt. Moaz al-Kasasbeh, was captured by the Islamic State on Dec. 24, after his F-16 fighter jet went down over northern Syria. His captivity has transfixed his home country, where the 26-year-old pilot comes from a prominent tribe. His government had hoped to trade a woman incarcerated for a 2005 bombing, but the talks fell apart when ISIS insisted it would only provide proof the pilot was still living in return for the female prisoner. Reuters reports that Jordanian authorities have informed al-Kasasbeh’s family that he has been killed.